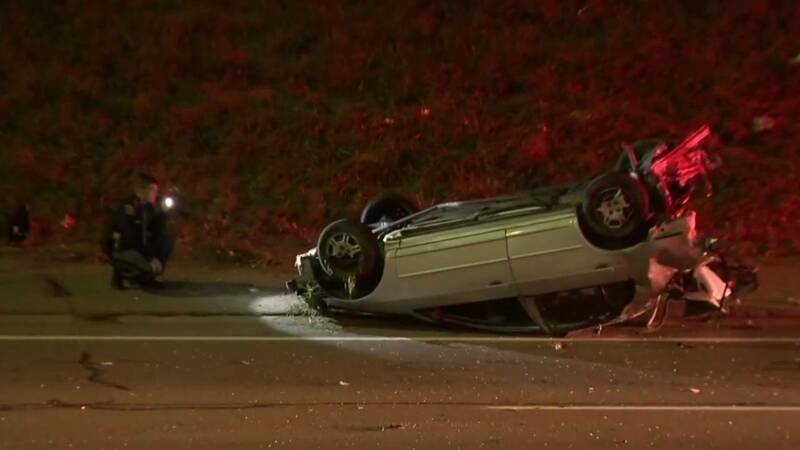 DETROIT - A man was killed Monday night in a violent rollover crash on westbound I-94 near Cadieux Road in Detroit. Witnesses said the man was ejected from a rolling vehicle, then struck by another vehicle on the freeway. The man was driving alone when his vehicle struck another vehicle about 8:30 p.m., causing his to roll, witnesses said. Michigan State Police said the man was pronounced dead at the scene of the crash. He has been identified as a 49-year-old man from Hamtramck. The woman driving the other vehicle left the scene of the crash. However, witnesses said she left her purse on the freeway under an overpass. Westbound I-94 was shut down at Moross Road until about 1:45 a.m.